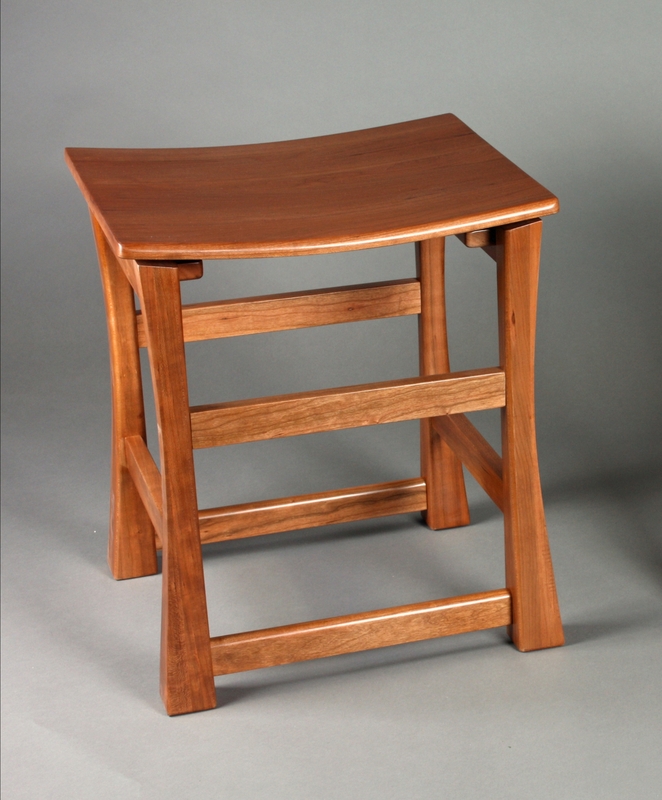 This is my seating design for a stool suitable for use at a 29 to 30" tall table top. It is 18" tall by 17" wide by 15" deep. This stool has a minor defect on one of the legs. most people can't see it.